Today was a very pleasant and productive day. I had a customer join our team and today we had our first face to face meeting. It was so nice to hear what she wants to do. We did a lot of brainstorming and talking and reviewing and learning, together. Sometimes you have to step out of your comfort zone. That is what I had her do today. That is what I did today. We did a little roll playing and it was a good thing to do. I think it helped her see new ways to approach things. We practiced with a few different ways to answer people, ways to approach people, ways to just be her so others would see the change. 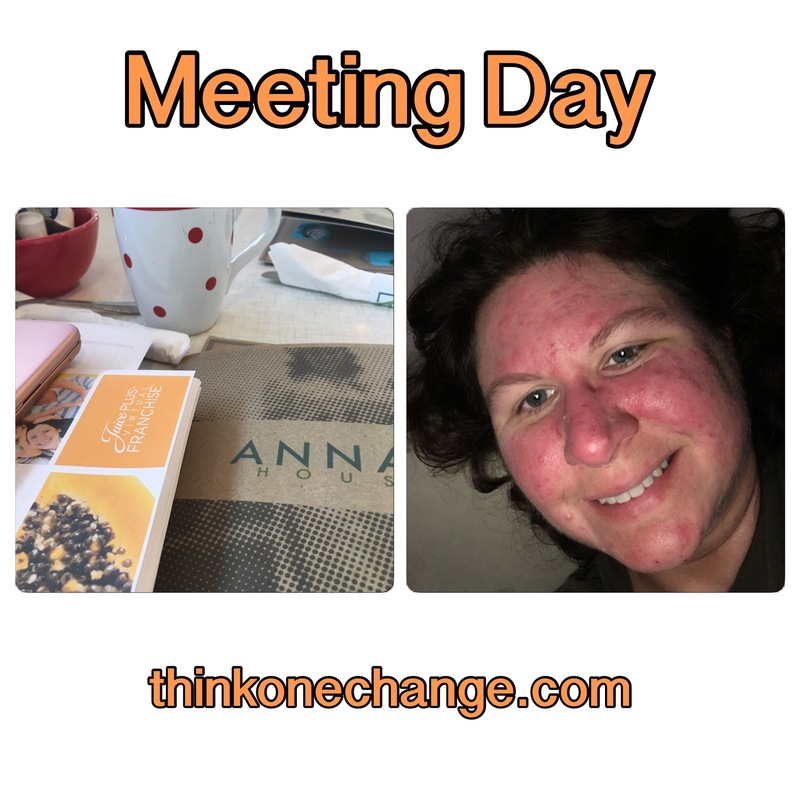 So not only was I able to have this awesome meeting today but our family has been boosting our immunity with the 30 fruits, veggies and berries every day. I am watching post after post on facebook about how everyone is sick. The stomach flu is hitting all over. Not only the stomach flu but also it seems there are other things like sinus issues and other crude that comes with weather changes. I am so thankful we have not had that happen here. We have been a bit under the weather. Seems that each of us was hit for about 24 hours but it was nothing like what I am reading online. My daughter is on day 4 of the flu. My son is on day 7 of sinus pressure. My husband is on day 10 of his man cold. It just keeps on going on and on and on. Thankfully because of the life choices we have made since March we have been able to minimize how long the crude is lasting in our home. I will be forever grateful for the friend who changed our life! So things were very hectic on Thursday. 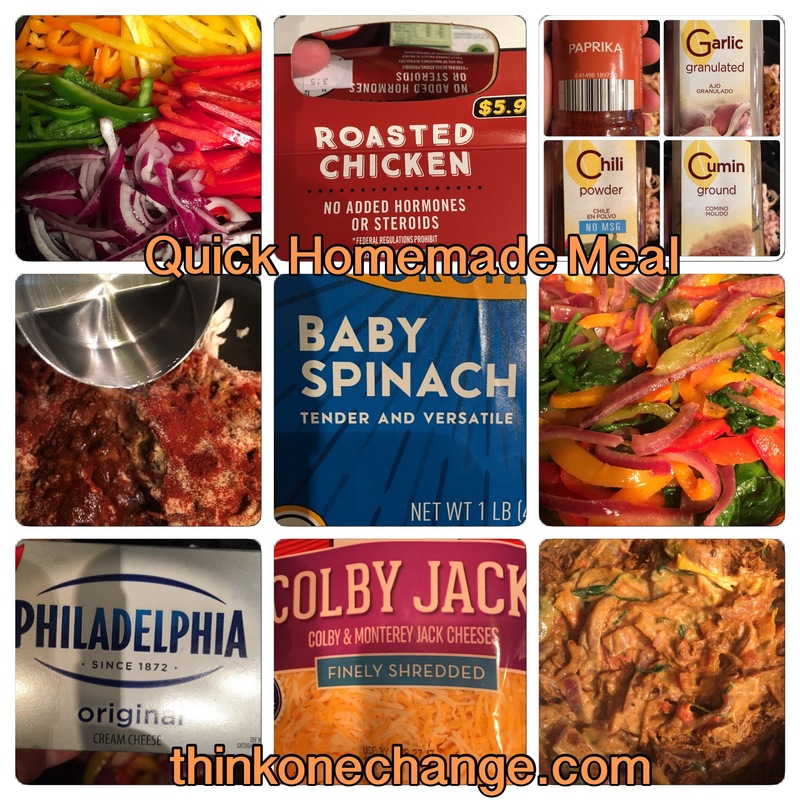 My Thursdays are always crazy busy and most of the time I like making quick and easy meals because we have extra bodies to feed. This was a meal that I have transformed from the original recipe into this. It has a ton of veggies in it. We do change it up in how we eat it. Sometimes we make it into fajitas. Sometimes we eat it with scoopable chips. Sometimes we just eat it with a fork. It is so good and so filling. I julienne cut the peppers and onions and sautée in a healthy oil (coconut is our usual pick). While these are cooking down and getting soft I tear all the chicken off the bones and shred it. (Side note: I do not always buy a rotisserie chicken, there are many times when I take the time to slow cook chicken breasts in the oven). After it is shredded and in the pan I just sprinkle the seasonings on top of it, add some water (to make it moist and allows it to cook into the meat for better flavor) and let it cook. Once the veggies have started to get soft and are easier to move around I toss the baby spinach on top. I let the baby spinach steam for about 3 minutes and then start to stir it in. Once the veggies are where I would like them I toss in the cheese (the reason for the difference on the amount of shredded cheese is some of our family is not a fan of pepper jack cheese so if anyone wants that on top I don’t put as much in the meal) and stir until it is all melted. Then I add the shredded chicken in. Mix well and serve it up. Again I am someone who seasons by smell and taste. So I am that person who you ask for a recipe and hate me when I say I can give you the ingredients but I can’t give you measurements. I always promise myself I am going to get better at that but I never do. It is the way I cook and I am not a professional so I don’t worry about it to much! Thank goodness I think most of my friends have adjusted and either just don’t ask for measurements or just say, “Hey I would like to come and watch you make it so I can get an idea as to how much or how you make it.” It is always nice to know your friends get you and accept you! How has your past two days been? Hopefully it hasn’t been as crazy as mine have been. Has your family been dealing with any of the crazy yucks that have been going around? 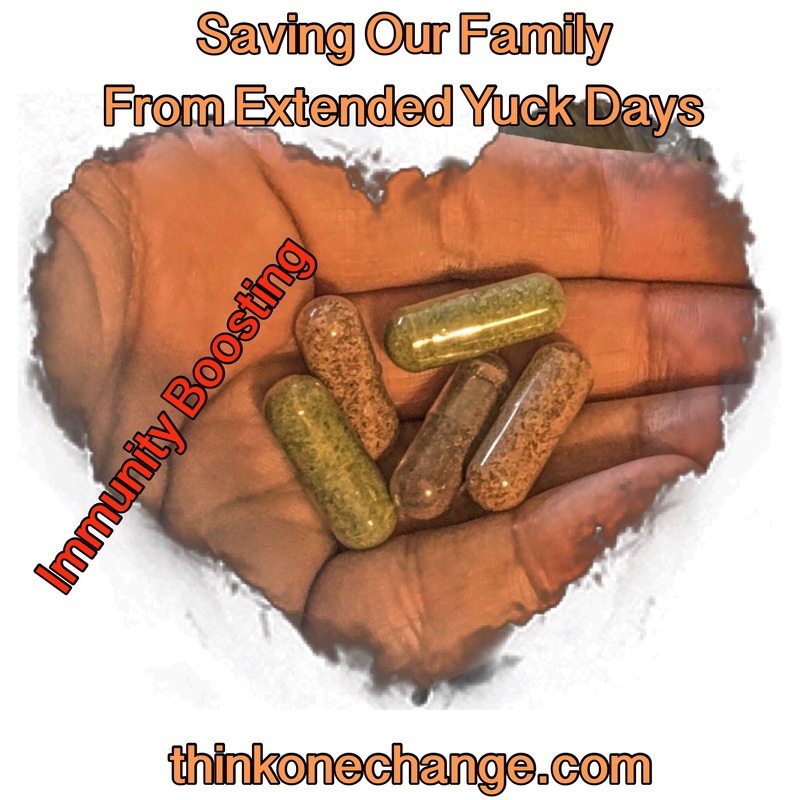 Praying your family has not been affected as badly like ours and if you have been affected I wouldn’t mind talking to you about how you can get your immunity boosted up as well!